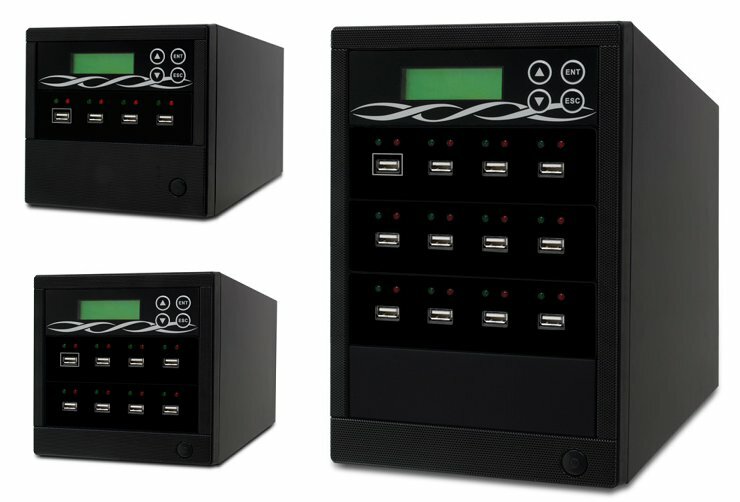 The Spartan USB Duplicator by ILY comes in two variations. One for 3 to 11 targets and one for 20 to 118. Latter is called the Super USB as it has additional features like virus testing. The G(r)eeks would be proud! ILY isn’t actually spartan about their duplication units. 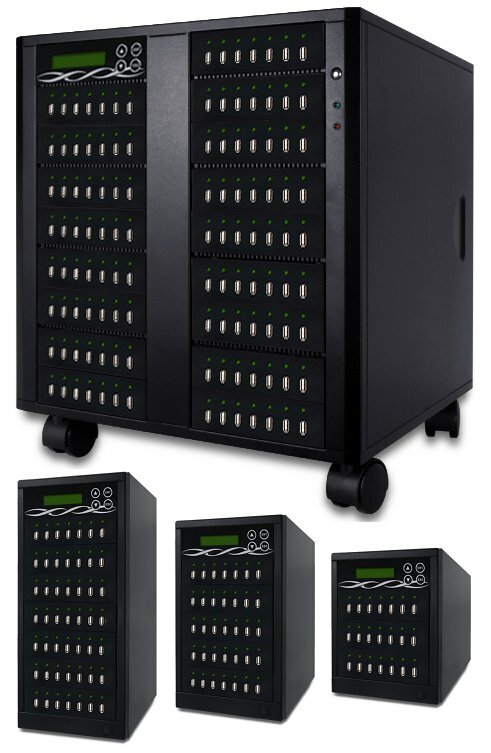 You can also clone CD/DVDs, BluRay, LightScribe, CF & SD Cards and with copyright protetction (the so called Fortress). Most convenient are the Crossovers and the All-in-one Backup Center.